New frequency for RADA: 12341.00MHz, pol.H (DVB-S2 SR:30000 FEC:3/4 SID:43 PID:4301[MPEG-4]/4302 Ukrainian- Clear). New frequency for RADA: 12073.00MHz, pol.H (DVB-S SR:27500 FEC:3/4 SID:6570 PID:6571/6572 Ukrainian- Clear). New SID for RADA on 12090.00MHz, pol.V FEC:3/4 SR:27500: SID:7004 ( PID:7401/7402 Ukrainian - Clear). RADA switched to DVB-S at 12090.00MHz, pol.V SR:27500 FEC:3/4 PID:6171/6172 Ukrainian. RADA switched to Astra 1G satellite at 12090.00MHz, pol.V (DVB-S2 , 12090.00MHz, pol.V SR:27500 FEC:9/10 PID:6171/6172 Ukrainian). 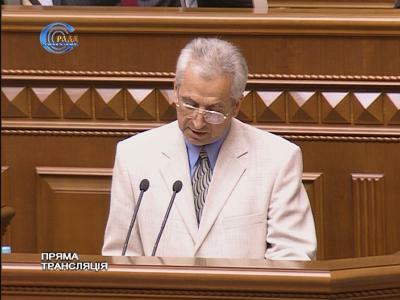 MyTV Ukraine: A new channel has started in DVB-S2 VideoGuard: RADA (Ukraine) on 12054.00MHz, pol.H SR:27500 FEC:8/9 SID:1035 PID:1351[MPEG-4]/1352 aac Ukrainian. RADA (Ukraine) broadcasts in DVB-S Clear on 11766.00MHz, pol.H SR:27500 FEC:3/4 SID:6130 PID:6131/6132 Ukrainian.